I wouldn't trade Chiarot for Bogo! You can keep him and his contract. Buff had a bad game and I hope he plays better tonight. He can dominate a game when he plays the right way. Jets set a record for blown leads in the 3rd this year... not to mention one shot on goal on a 4 minute PP. Absolutely pathetic. Buff played like crap and Chiarot is not an NHL D man. Ehlers is still waiting for his first playoff goal...ever. To top it off, this will be the 2nd year in a row that the Jets won't have their 1st round pick. Luckily for the Sabres the garden gnome is signed in Minny...stay away from him. Kadri likely to get 3 to 5 games but probably 3. I hate that facker. Butter the Jets, they are toast. Helle cost us the game and thus the season. I think hiring McLellan would be an excellent choice for the Sabres. Bogo has known something besides losing? He hasn't even played in the NHL playoffs yet? Neither has Skinner and Hutton has 3 playoff games under his belt. Risto has played 5 seasons, I think he can be considered a vet. McLellan, Tippett or Ralph Kruger? 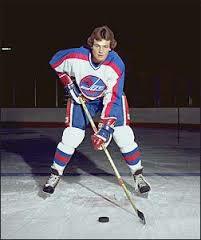 Dark horse...Hawerchuk? Could do a lot worse than McLellan. 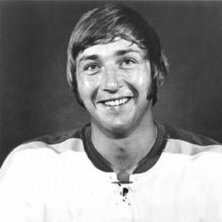 I don't think anyone should be compared to Orr just like I think nobody should be compared to Gretzky. They come along once in a lifetime and change the way the game is played. I am old enough to remember Orr and he played for a team that I hate with a passion but I still saw that he was head and shoulders above everyone in the league. Compare Dahlin to someone like Housley or Coffey but comparing him to Orr is unfair. They're hammering BIG walleyes on Lake Winnipeg right now... a few 35 inchers and lots over 30". it is 32 degrees Fahrenheit back home, not the 86 degrees Fahrenheit I am sitting in right now but I'll take it when I get back. I think winter is over thank God. One of the 16 Bonitos we caught. We also caught 10 triggerfish, 1 needefish, 2 Orange Roughy fish and a Dorado (mahi mahi).